Spreading the message of a Constitutional right to clean air, clean water, and healthy environment. Maya van Rossum spurs a discussion on passing an Environmental Rights Amendment in Florida for Earth Day. Maya van Rossum to deliver a keynote at the Earth Day Community Forum hosted by 411 Teen Tallahassee. NY Senators, Assemblypersons, environmental groups, and other organizations held a press conference in favor of an Environmental Rights Amendment in the State of New York on April 9th, 2019. Maya van Rossum delivered a presentation to inspire students to fight for their environmental rights amidst stories of degradation and injustice. Legislators say a “Green Amendment” would enhance the economy by creating jobs, but it would also require government to prioritize environmental protection when issuing permits, advancing energy creation or approving development. Maya van Rossum will speak about the Green Amendment movement at the Washington Township Public Library. Maya van Rossum chats with Bill Press about the Delaware River, the current state of the environment and the power and importance of that a Green Amendment can have on society. January 15, 2019. On September 9, 2018 Delaware Riverkeeper Maya van Rossum discussed the Green Amendment movement at the Climate Justice rally in West Chester, Pennsylvania. Watch a documentary on the story of environmental rights in Pennsylvania. Maya van Rossum to discuss the importance of claiming our right to clean air and clean water with Constitutional 'Green Amendments'. The talk is outlined in her new book which illustrates why all Americans should pursue this new path towards environmental protection. The book was awarded a Gold Evergreen Medal in the Nature Conservation category for its positive and revolutionary impact in the world. Jules J. Mermelstein, Esq. reviews the Green Amendment book and briefly examines the economic, and scientific arguments made for environmental preservation as well its legal aspects. WHYY's Radio Times host, Marty Moss-Coane, welcomes guest, Maya van Rossum, to speak on the power of that a Green Amendment can have in changing the way business is done and and decisions are made across America. Including Rolling Back Regulations, Failing to Regulate, and Hiding the Science That Demonstrates Human Health Harms? Earth Day has come and gone, but environmental issues remain a concern in both state politics and Washington. 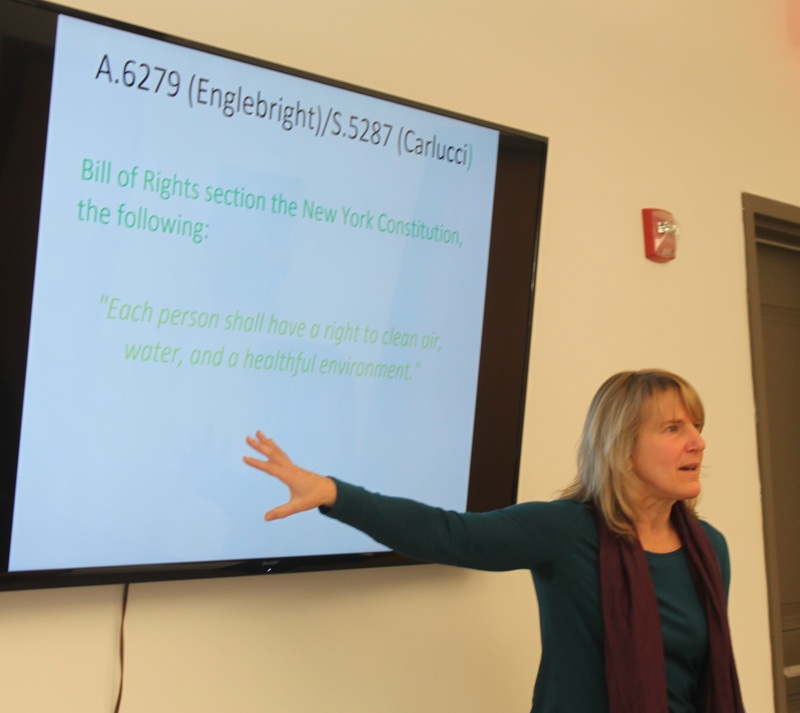 And advocates have been working to get constitutional level protection for environmental rights in New York’s state constitution. Earlier this week, Liz sat down with Delaware Riverkeeper Maya Van Rossum to talk about how a constitutional amendment could change the conversation. Maya van Rossum will be featured at the next talk, which takes place at the Valley Green Inn on Tuesday, May 15. The event is hosted by Friends of the Wissahickon. Buffalo Street Books in Ithaca, NY will host a talk by Maya van Rossum on Saturday, April 7th. Grid Magazine interviews Maya van Rossum on her motivations behind writing The Green Amendment. 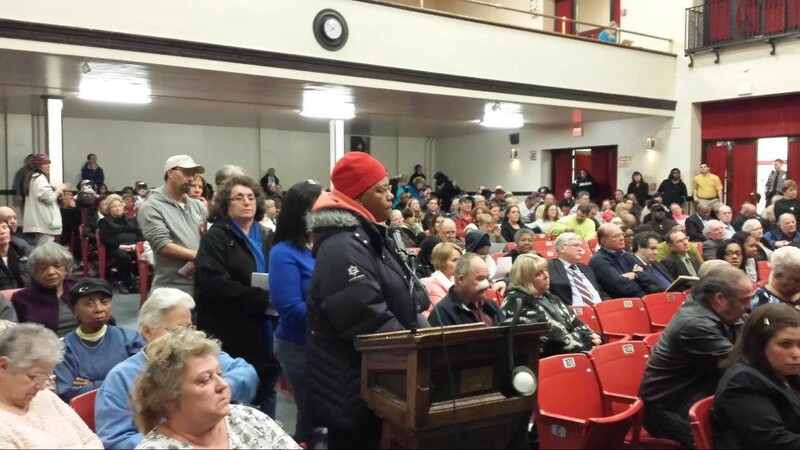 She discusses how the many small environmental disasters & battles playing out in small towns and communities around the Delaware region are indicative of a broader issue-- that the system is designed to benefit the rich at the expense of the middle and lower class. She emphasizes the importance looking to each other for inspiration and joining together in the fight to preserve the environment. Maya ventures to Gainesville, Florida to speak about the recent successful applications of Pennsylvania's Environmental Rights Amendment at an event hosted by Suwannee St. John's Sierra Club. The Mamakating Library will host a book signing and discussion with Maya van Rossum, author and executive director of the Delaware Riverkeeper Network, at 4 p.m. on March 17. The event will also feature Maya van Rossum as the keynote speaker. Maya K. van Rossum, author of "The Green Amendment: Securing Our Right to A Healthy Environment," will discuss the proposal on March 7. 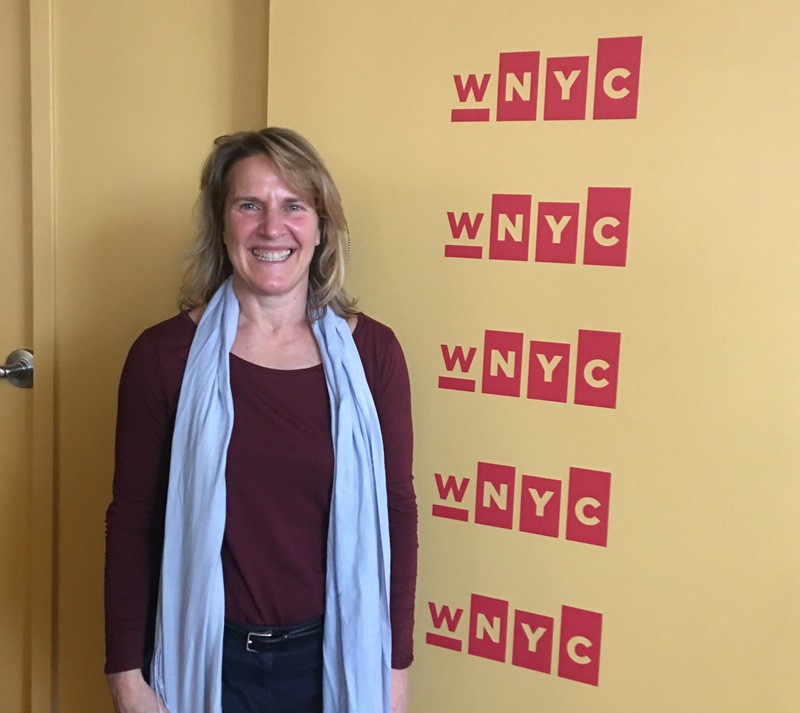 Environmentalist and Delaware Riverkeeper, Maya K. Van Rossum discusses her new book The Green Amendment: Securing Our Right to A Healthy Environment on WNYC Midday with Jami Floyd. Van Rossum argues that our environmental laws have been designed to accommodate pollution rather than prevent it. She lays out a new agenda for environmental advocacy that looks to empower citizens and protect our right to clean air and water. KJZZ radio in Arizona interviews Maya van Rossum on the mission to pass Green Amendments across America. A special event will be held at the Rebovich Institute at Rider University featuring guest speaker Maya van Rossum. 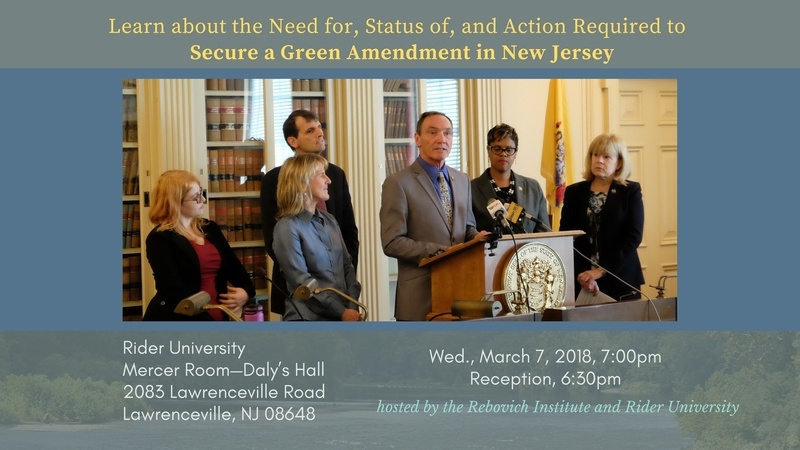 This discussion session will detail the effort required to pass an environmental rights amendment in the state of New Jersey. Maya van Rossum speaks about the importance of Green Amendments in protecting our environmental freedoms with WOCA Source Radio in Florida. Portland, OR – Maya van Rossum, the Delaware Riverkeeper and leader of the Delaware Riverkeeper Network (DRN), will speak about the “Green Amendment” movement at the Northwest Environmental Defense Center of Lewis & Clark Law School on February 14 at noon. Boulder, CO – Maya van Rossum, the Delaware Riverkeeper, will hold a talk and signing about her book The Green Amendment: Securing Our Right to a Healthy Environment on January 31 at Boulder Book Store in Boulder, Colorado. Does our state constitution protect the environment? Maya van Rossum talks to N2theGarden about her work at the Delaware Riverkeeper Network and her mission to extend Constitutional protections for our environmental rights across America. Interview starts around the 7:30 mark. Plainsboro Township, NJ – Maya van Rossum, the Delaware Riverkeeper and leader of the Delaware Riverkeper Network (DRN), gave the keynote speech at the Alliance for New Jersey Environmental Education Winter Conference on January 19. Maya van Rossum — best known as the Delaware Riverkeeper — has been punched and verbally abused while fighting hydraulic fracturing and pipeline projects in Pennsylvania. Maya van Rossum visits Eldred, NY on a grass roots campaign to educate people about the movement to secure Constitutional protections for clean air and water. When it comes to protecting the environment, our existing laws have failed us. So says environmental activist Maya van Rossum. In her new book, The Green Amendment, she says existing laws don't ban pollution or development. She writes, "Industries are perfectly able to pollute the air and water not in spite of, but because of, the Clean Air Act and the Clean Water Act – they simply need the right permits to do so." Anthony Campanella interviews Maya van Rossum on the mission to guarantee Constitutional protections for environmental rights. Maya van Rossum provides an expert opinion on environmental rights within the framework of our legal system. Listen to Tim's interview with Maya van Rossum to discuss her new book The Green Amendment and the current state of environmental politics. It’s a book that’s been called the “next Silent Spring” by actor and clean water activist Mark Ruffalo — The Green Amendment: Securing Our Right to a Healthy Environment, written by environmental activist Maya K. van Rossum and published by Disruption Books on Nov. 14. An engrossing personal and professional account of fighting for ecological justice and establishing a pro-environment constitutional framework. Maya van Rossum’s new book ‘The Green Amendment’ calls for enviornmental constitutional amendments in the U.S.
Radnor >> Life-long Radnor resident Maya van Rossum has penned her first book, “The Green Amendment,” which will debut on Nov. 14 at Main Point Books in Wayne. There will be a book launch and signing at 7 p.m.
Tom is joined by Maya van Rossum, author of The Green Amendment, for a lively discussion about her new book and the movement we need to secure our right to clean air, pure water, and a healthy environment. The conversation begins at the 20 minute mark. A study published online October 25, 2017, provides a detailed and scary new analysis of the devastating impacts pollution emanating from unconventional oil and gas development, including fracking for gas from shale, is having on the health and development of our nation’s children. In the NY times article “Corporations Have Rights. Why Shouldn’t Rivers?” we learn about a recently filed lawsuit in which a judge is being asked to recognize the Colorado River as a person. This lawsuit is testing an important legal theory — giving rights to nature — similar to Ecuador’s model. In 2008, Ecuador became the first country to grant protections to nature. Through its constitution, Ecuador vests nature with the right to exist and flourish. As much as we want to work with our government and hope they have our best intentions at heart, many politicians have become entrenched in the world of big business and care more about the green in their wallet than the green on the planet. By learning how we can implement this kind of right into the constitution of each state, we are giving power back to the people.